I've always been particularly fascinated by the power of networking computing devices together. Over the last several decades the hardware, software, and protocols that undergird how networks work have been evolving at an incredibly fast rate. Successful enterprises always need to be forward-looking if they are going to maintain their momentum, so it's important that the IT professionals who work for such businesses keep up with the latest developments in the field of computer networking. Along those lines here are two emerging networking technologies you may want to keep your eyes on in the coming years. I'm not suggesting that these technologies will all pan out and become raving successes, but if even one of them takes the lead over its contenders, then becoming familiar with it in advance might just give your company the competitive advantage it needs to stay afloat in an increasingly accelerating world. Software-defined networking (SDN) is currently all the rage in the rush toward cloud computing and the modern datacenter. But SDN, which had its roots in campus networks where administrators were sick and tired of always having to tediously reconfigure network devices whenever they needed to change the underlying architecture of their networks to provision new kinds of services to customers, has turned out to be only a partial solution toward radically simplifying the programmatic reconfiguration of enterprise networks. While SDN enables network layer abstraction, it doesn't really solve the problem of the increasing proliferation of how to configure and manage the proliferation of vendor-specific network hardware appliances. OpenFlow was developed by the Open Networking Foundation as a standardized way of implementing SDN controllers and its adoption by Cisco, Brocade, and other networking vendors has helped drive the adoption of SDN in many quarters. Network functions virtualization (NFV) takes this a step further, though, by integrating other networking functions and then virtualizing them in industry-standard ways to help further reduce the capital expenditure (CapEx) and operational expenditure (OpEx) involved in implementing and maintaining SDN-enabled datacenters. NFV standardization is driven mainly by the European Telecommunications Standards Institute (ETSI), which, with the involvement and cooperation of seven networking industry and telecom powerhouses, established an Industry Specification Group (ISG) in 2012 to help drive standards through proof-of-concept to vendor testing toward market availability. The NFV ISG has produced over 50 whitepapers and other publications since they were established and they continue to host a series of ongoing events to move the industry toward full implementation. For a list of tutorials on how NFV works, what its goals are, and how compliance testing is performed, see this page on the ETSI website. When most people think of WiFi, they think Internet access and often complain "Boy, the WiFi is sure slow today!" Everybody and his dog wants faster WiFi, and that's not just end-users but also businesses whose employees rely on WiFi access to be able to get their work done. 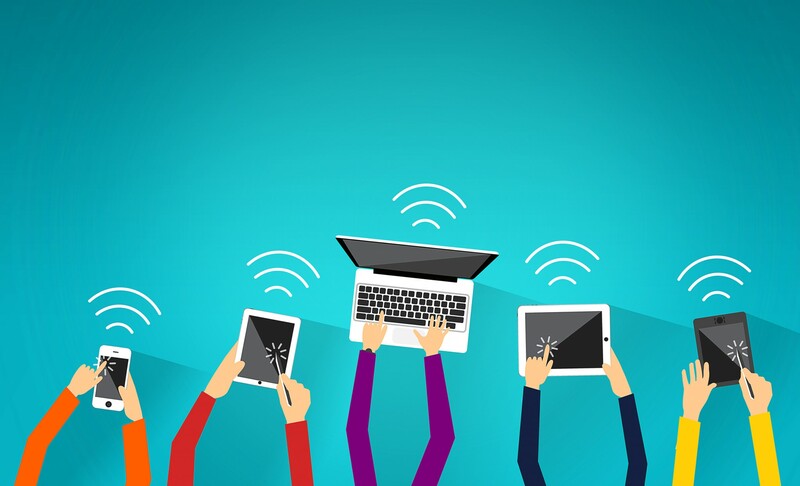 Because of the increasing demands on existing WiFi networks, standards bodies and networking hardware vendors continue to furiously work to ensure that WiFi protocols and standards continue to evolve to meet the needs of the marketplace. The Institute of Electrical and Electronics Engineers (IEEE) has been at the forefront of coordinating the development of 802.11 wireless networking standards in ways that will ensure interoperability between products and solutions offered by different vendors. Since its lowly beginnings in 1997 when the 802.11 committee was first set up by the IEEE, the protocol standards for wireless networking have evolved from 802.11a and 802.11b to the faster 802.11g and the even faster 802.11n and 802.11ac standards that provided faster data transmission over the same bandwidth with less power. What's almost scary though is that 802.11 protocols have been proliferating faster than rabbits! As of last year, there are at least 16 different 802.11 wireless networking standards that have been defined by the IEEE 802.11 working group, although many of these are refinements of earlier versions of WiFi protocols. Then on top of this there are a similar plethora of specifications that have been developed by the WiFi Alliance, a global consortium of companies that includes Cisco, Intel, Apple, Dell, Microsoft, Broadcom, and many other major vendors as sponsors and contributors. So on the one hand academia is driving the basic protocols forward while on the other hand the vendors themselves of networking hardware and software (and of devices and applications that use networks) are also pushing things forward. It's no surprise that it can be hard to know which developments are important to keep your eyes on in such a rapidly changing landscape! Regardless of such fluidity, one thing businesses might want to keep their eyes on is the emerging 802.11ax standard. The goals of the working group driving this new standard is to target one of the main pain points hitting companies using WLANs, namely the difficulty of achieving optimal throughput and spectral efficiency in the presence of interfering sources of electromagnetic energy, and especially with dense heterogeneous networks where access points are heavily used by users. 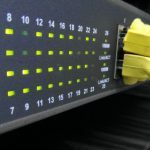 As the Internet of Things (IoT) continues to drive relentlessly toward ubiquity while per-user download loads increase and 4K streaming video becomes a reality, the expected appearance of 802-11ax WiFi hardware and its backward compatibility with existing 802.11a/b/g/n/ac standards is likely to trigger a new tsunami of WiFi network appliances that attempt to conform to the performance expectations of the emerging new 802.11ax standard. Already announced in the marketplace is a chipset developed by Qualcomm that will be compatible with the new 802.11ax standard. Devices using this chipset will mainly target the enterprise market for access points (APs) and wireless routers. The speeds promised by such WiFi devices will be phenomenal -- up to 4.8Gbps divested across eight 5GHz data streams and four 2.4GHz streams. A similar chip has also been developed by Qualcomm for client devices such as laptops, tablets, and smartphones, with a promised bandwidth of 1.775Gbps over two data streams. What business should be careful of, however, is that the 802.11ax standard itself has not yet been ratified -- the final draft of this standard is currently expected in 2019. So customers with WiFi-hungry users may want to exercise a bit of caution before jumping on the 802.11ax bandwagon once WiFi appliances become available and are said to comply with this standard. Remember, emerging technologies are just that -- they're still working their way out of the dark into the cold hard light of day.